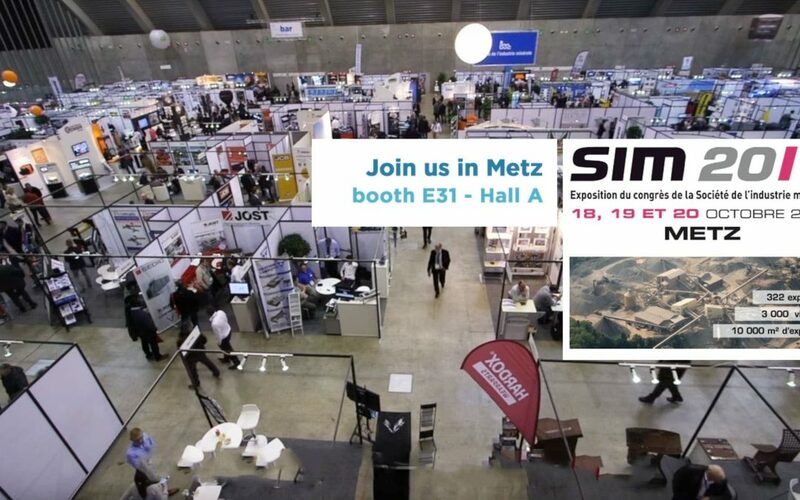 The 2017 SIM Congress exhibition will be held this year on 18, 19 and 20 October in Metz, France. The SIM Congress gathers each year operations managers of mines, quarries, industrial minerals and recycling platforms. will attract the leaders of major groups. In the mines, where the expansion and relocation are necessary as the mine develops STM’s systems can expedite, optimize and economize the process of overburden removal, redistribution and stacking. The belt conveyor systems for mining are designed for long lifetime and for minimizing extraordinary maintenance and downtime risk. STM is committed to deliver high-value performance and to meet customers’ needs for excellent reliability, investment cost, delivery time, lower operating costs, high standards of safety and sustainability. STM, as experienced supplier of bulk material handling facilities, succeds in creating and managing equipment of any size and complexity. We will be present at the exhibition to meet our customers and to show our innovative solutions.